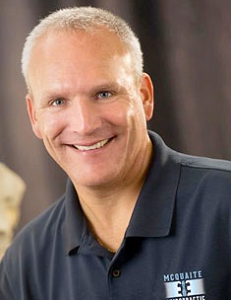 Dr. Jeff McQuaite is pleased to offer a new adjusting technique for his patients that does not include “Snapping, Cracking or Twisiting”, utilizing the Arthrostim and Vibracussor. The Arthrostim is a natural solution and revolutionary procedure that helps neck and back pain sufferers get out of pain safely and gently without any side effects. It is an advanced chiropractic adjustment instrument that is an alternative to traditional manual adjustments that Dr. McQuaite regularly performs. It was designed to gently and safely decrease the muscle and joint tension in the neck and back, thereby reducing any muscle spasm present, increasing joint movement, and eliminating any nerve pressure or irritation, allowing the body to function properly. As opposed to traditional chiropractic adjustment techniques, use of the Arthrostim does not cause the same popping and cracking noises in the joint that can make some people feel uneasy. It is a gentle, mechanical method of easing the joints back into proper alignment. 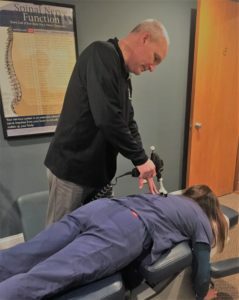 Dr. Jeff can exert just the right amount of pressure needed by adjusting the force of the thrust up or down from merely a few ounces all the way up to 40 pounds, and it works on a wide range of body areas, not only on the spine. By utilizing the Arthrostim, effectiveness of the adjustment can be maintained while reducing the amount of force that is applied. This dynamic combination allows for a wider range of conditions and patients that can be managed more comfortably by Dr. McQuaite. 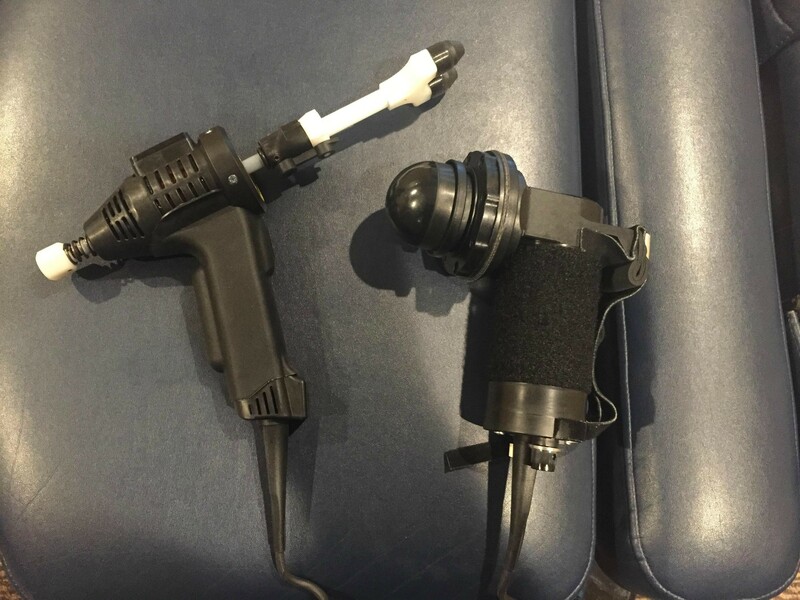 Even individuals who are large and stronger (and may be difficult to adjust with a single thrust) can benefit from use of the arthrostim. 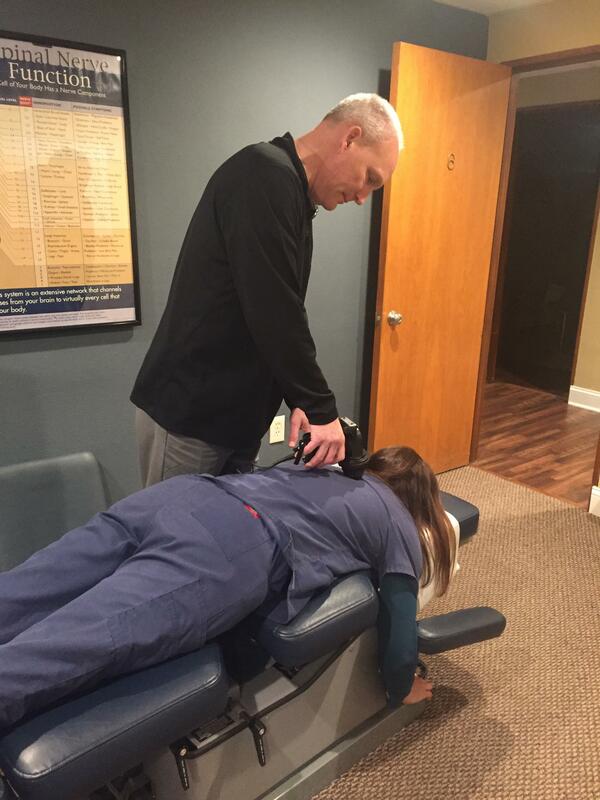 The other instrument Dr. McQuaite has incorporated to help make his adjustments more effective is the VibraCussor. The Vibracussor delivers impulses deep into the tissues of the body, helping break up fascial restrictions (scar tissue) while also improving circulation and healing. This relaxes the muscles and fascia surrounding the vertebral shift that Dr. Jeff will be addressing, making his treatments more effective and more comfortable. 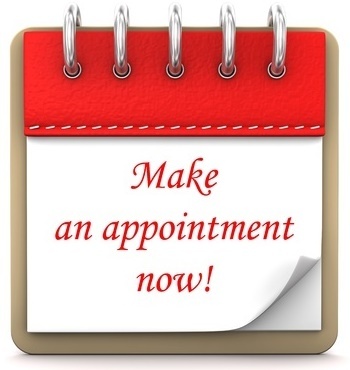 Please contact the office to learn more about these techniques or to schedule your appointment.